Land Shark!! : Stanley Cup Champions!!!! Lord Stanley, Lord Stanley, Bring me the Brandy!!!! 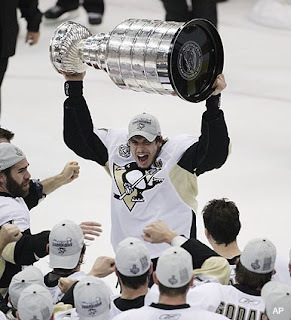 Congrats to Sid and the Pittsburgh Penguins! The 2009 Stanley Cup Champions! And way to go Gino, winning the regular season scoring title and the Conn Smythe in the same year! !